So this image makes me sad, so let's talk about standard unit placement strategies! 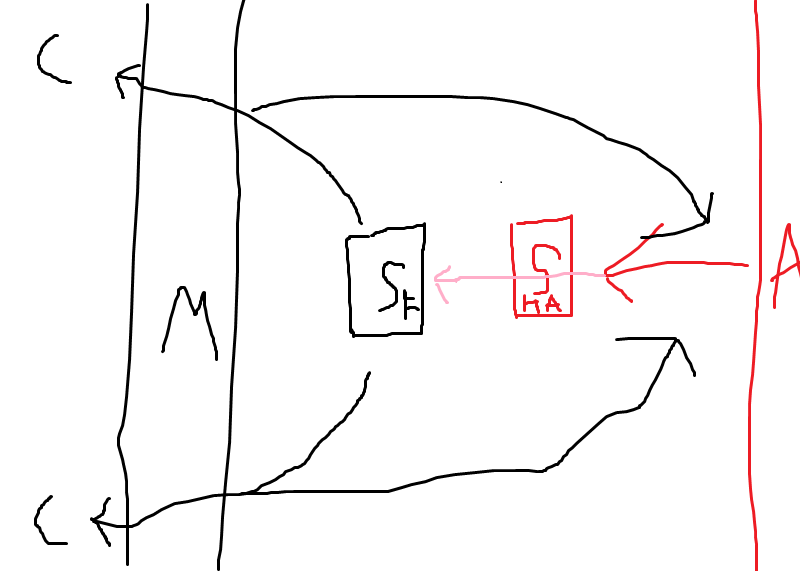 This is going to be pretty rudimentary because I just drew this all up in MS paint really quick. This one is a fairly standard setup. 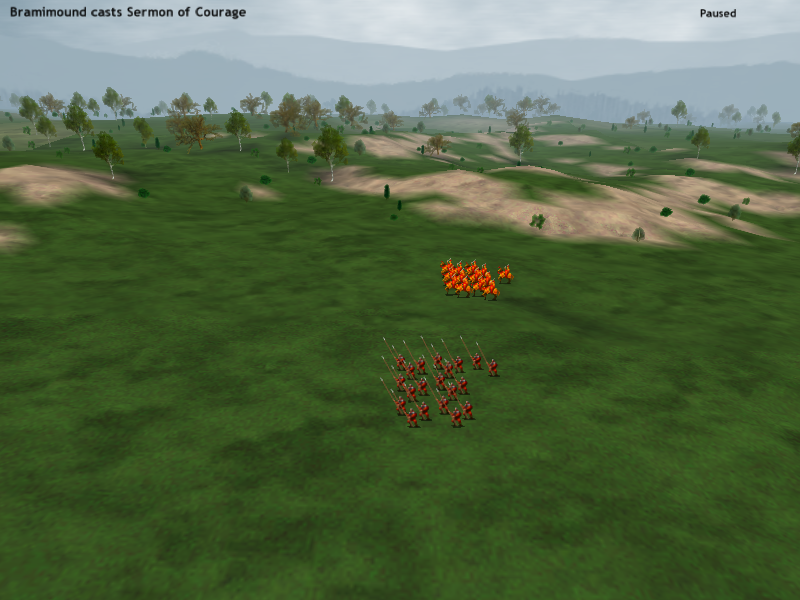 You have shields or other decoys stand in front to absorb arrows and make first contact with the enemy to establish a line. 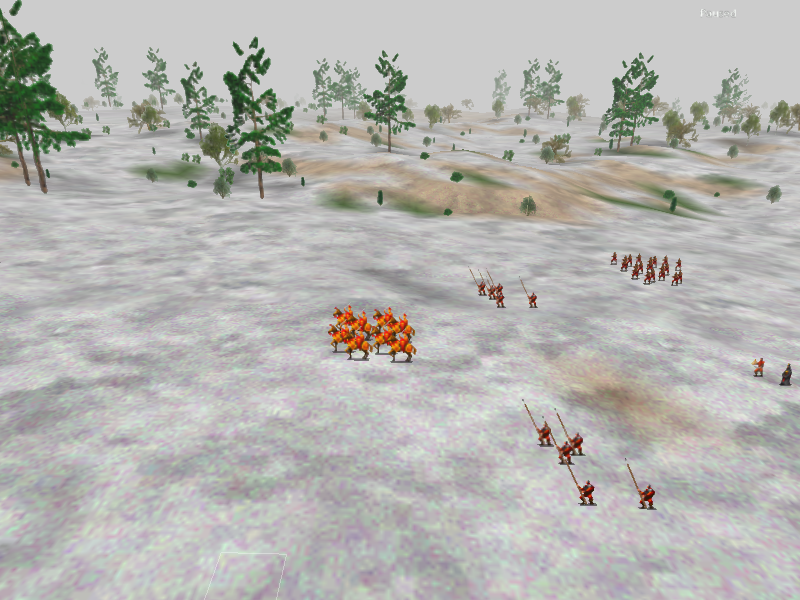 The objective of a setup like this is your shields or decoys will hopefully be taking all of the arrows, while your unshielded strong melee troops engage in melee with his melee/shield troops. 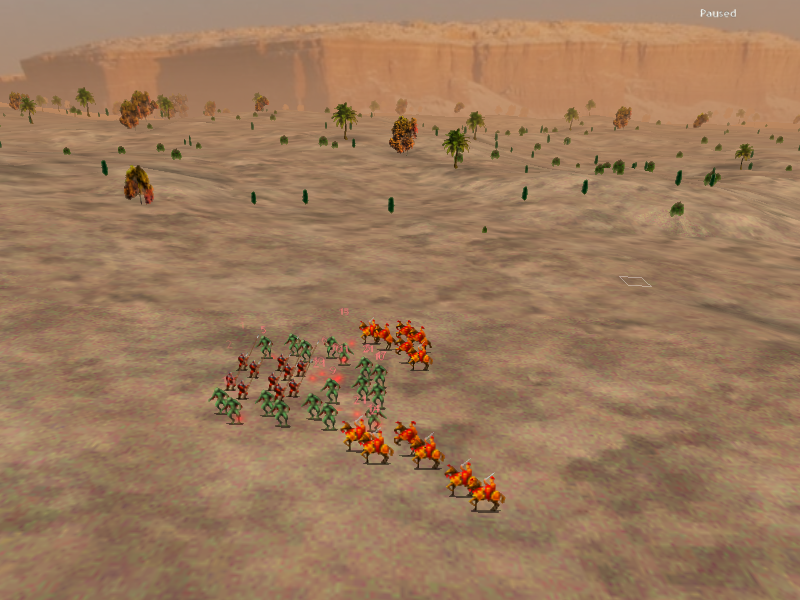 However, if you place your melee troops too far forward, your unshielded melee might be shot because archers will target the closest unit group. 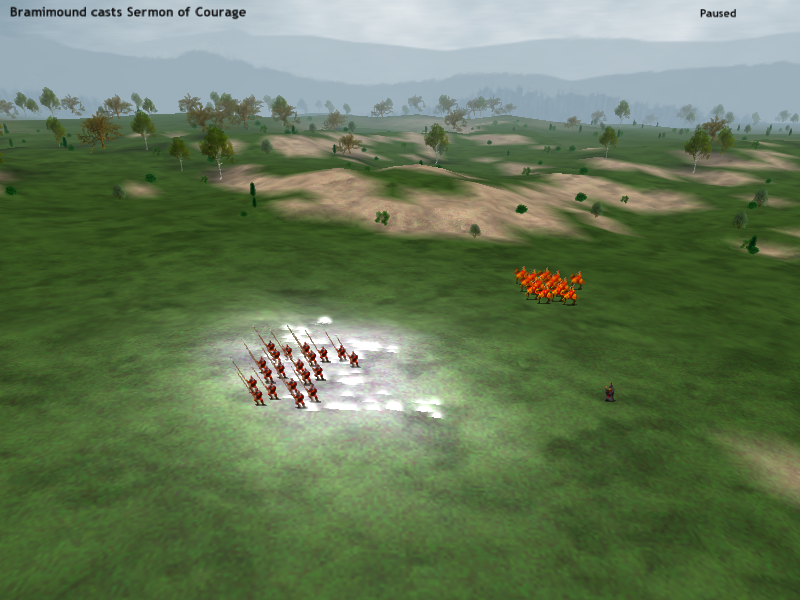 By placing your archers to the sides they are potentially closer to the melee than the center placed shields. 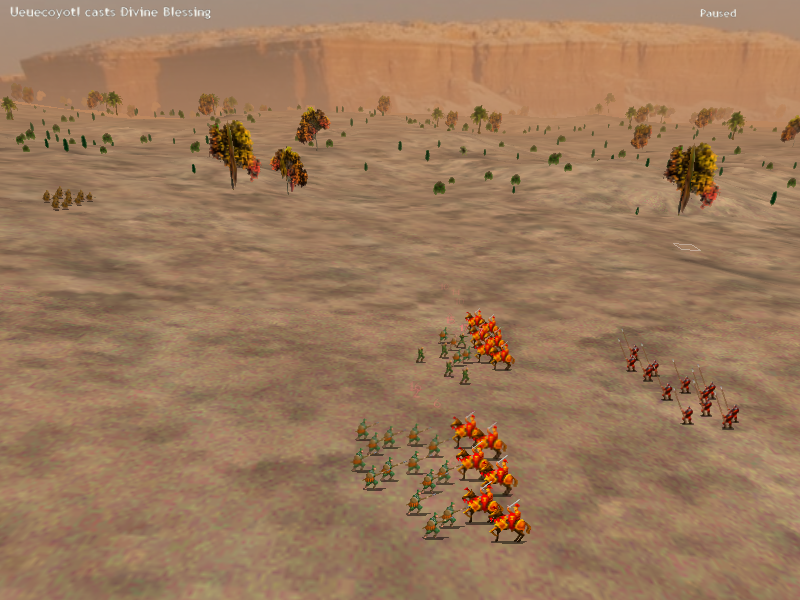 So in this case I have Mictlan's troops set up inappropriately. They have their shields in front, but the eagle warriors are too close to the front, so they're not being properly screened. Marignon meanwhile has its melee units set up an appropriate amount of distance back, so they won't have the same issue as Mictlan. Marignon's crossbows hit the eagle squad doing a lot of damage that could have been avoided. Meanwhile Mictlan's slingers are all trying to hit the knights in front (though its hard to tell since they're so inaccurate). Something people do fairly regularly is place their archers in the back row. Sometimes this is to take advantage of their range, sometimes its just because people rear place archers because they're archers. To counter this, you can place a fast group (preferably with shields, but faster is more important in this case) with the orders to guard commander. 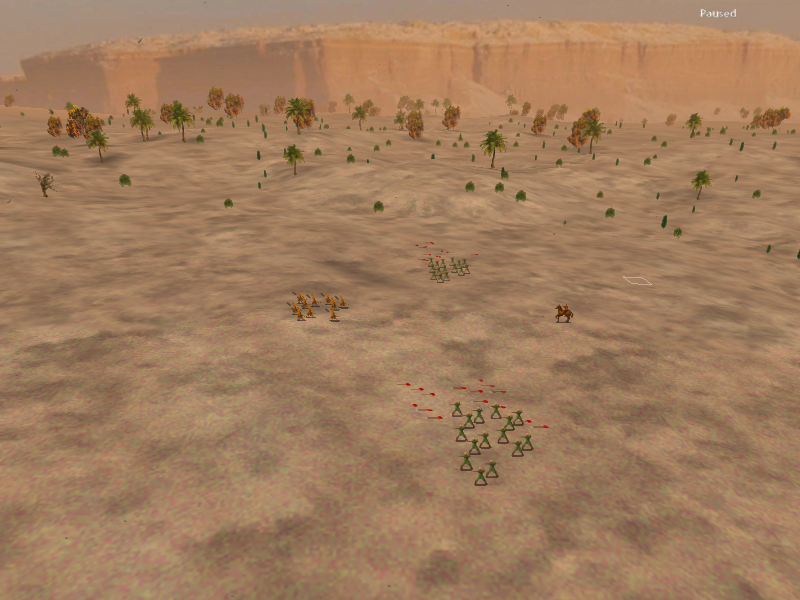 Place your commander in whatever location will end with your group as far away from his archers as possible. Sometimes people will place archers in the very center rear in which case you want one of the corners, if they place them in a corner do it on the corner on the opposite side. 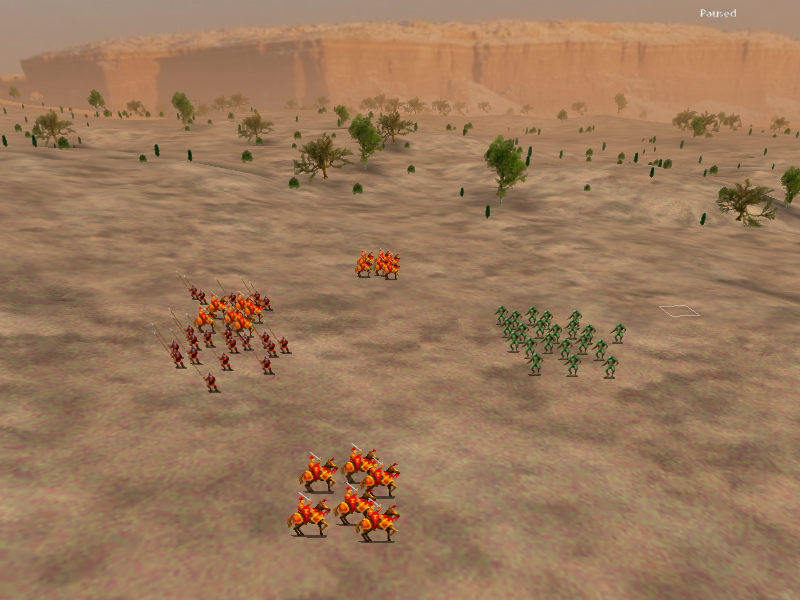 Since archers don't actually have infinite range, they will run forward to get in range to shoot your decoy group. This will waste a turn or two with them running forward, and give your melee time to close with the archers and kill them. Marignon has an archer lure set up here. 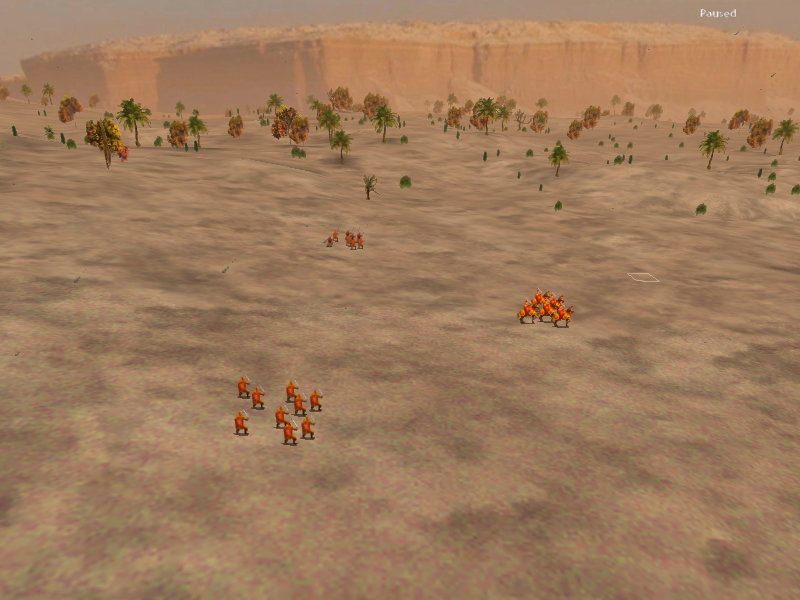 The knights in front are scripted to guard a commander I have set in the far back. However, it's important that Mictlan's turn goes first because if the knights immediately run back to defend the commander the archers will never pick them up as a target. Mictlan takes the first move with its defensive advantage, the archers shoot the knights and have acquired them as a target. Now they will continue attempting to shoot them. 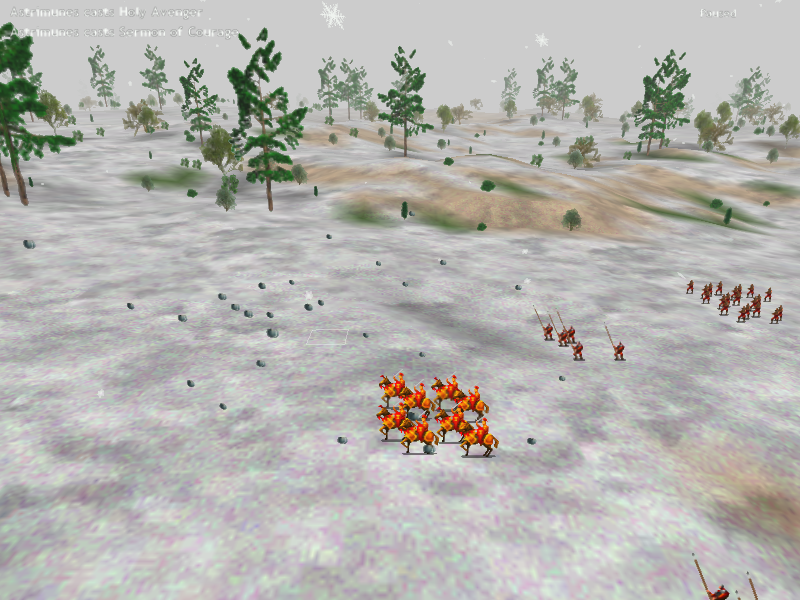 However, since the knights are now out of range the archers start running forward to get in range. 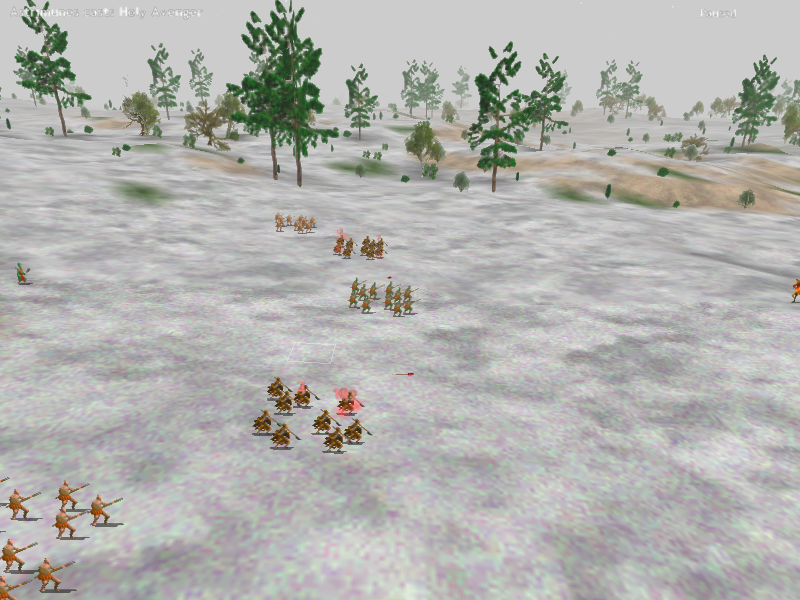 Meanwhile Marignon's troops on either side have started advancing to engage Mictlan's archers in melee. 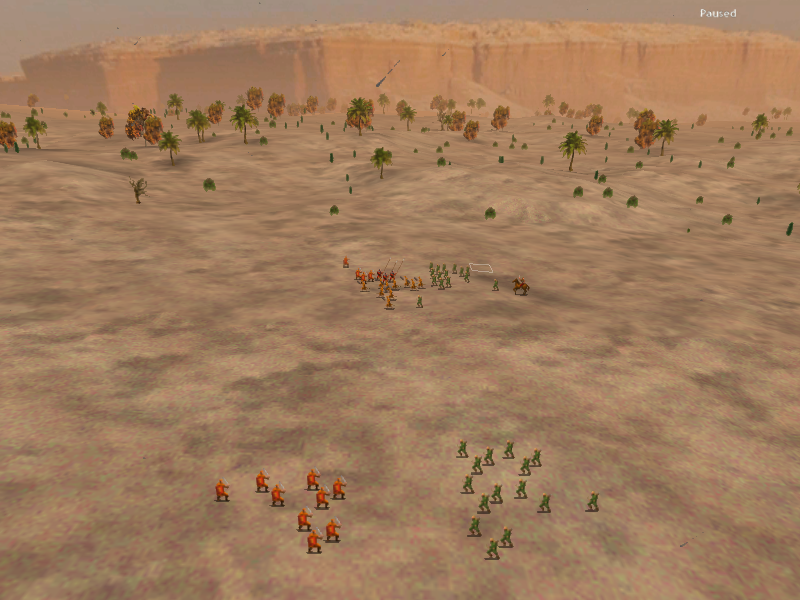 The archers never get back in range to shoot the knights before they're engaged by Marignon's melee. This isn't a specific situation so much as a reminder that units have different movement speeds. Groups with higher AP values should be put further back than your units with lower AP values. This will make it so all your melee will reach the lines at the same time, making your line more effective than the enemies. Basically, having units reach the enemy at different times almost definitely means some of your fast guys are dying and you'll have an inoptimal surround. These two units have very different AP values, and they're both set to attack closest. The knights are set an extra distance back so they don't get ahead of the pikemen. 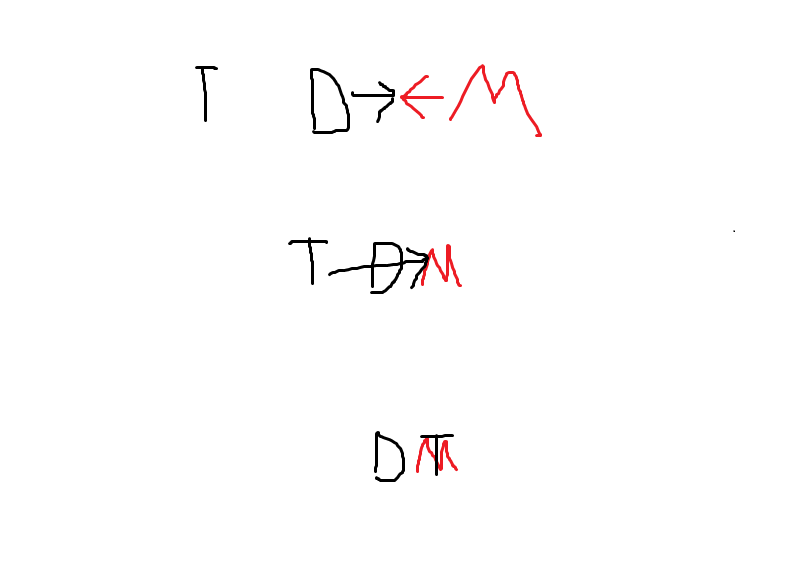 After one turn the distance between them closes, if they engage in melee next turn they'll form a solid line. Melee troops are almost always attack closest, attack rear, or hold and attack. 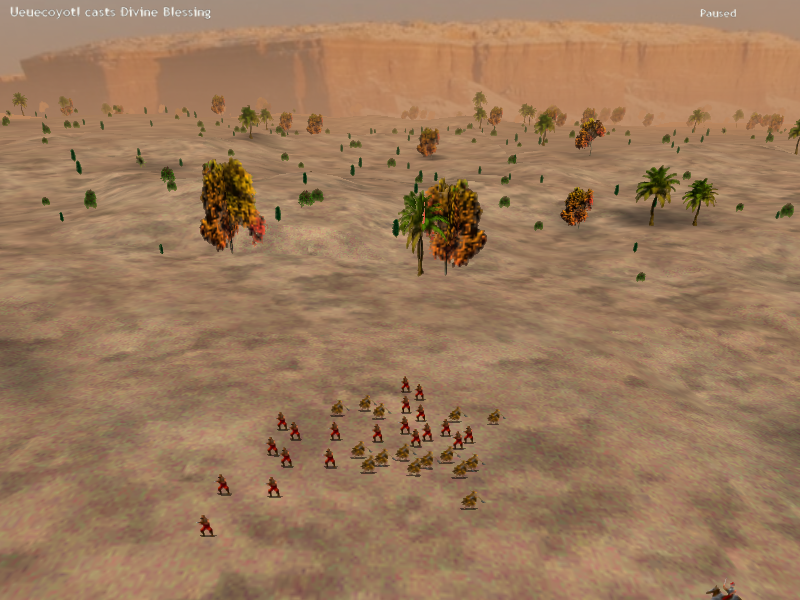 When they're set to attack closest/unscripted, you can set a decoy group up in front to draw their attention. This decoy group will be set to guard commander while your melee line will form a kind of triangle shape in the back. 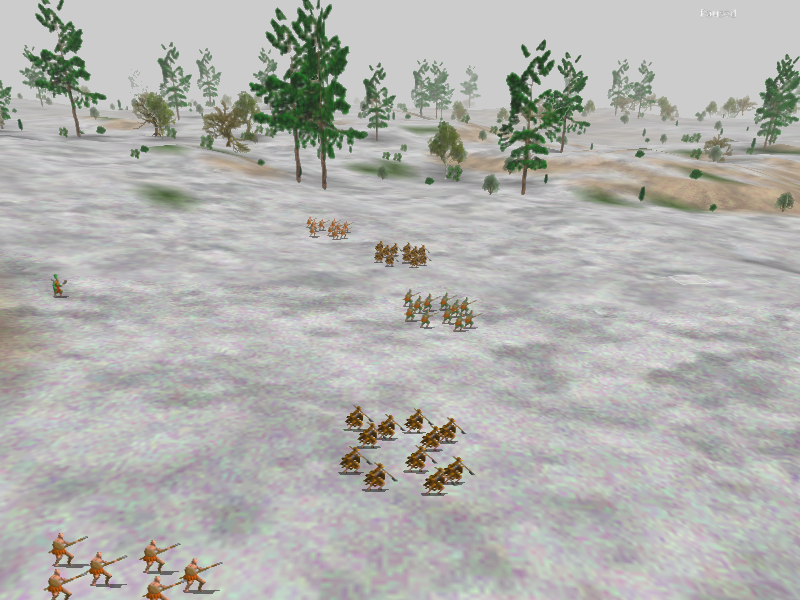 If done properly the enemy melee troops will run after your group set to guard commander and your melee troops set to hold and attack will circle the enemy squad giving you a very efficient surround. 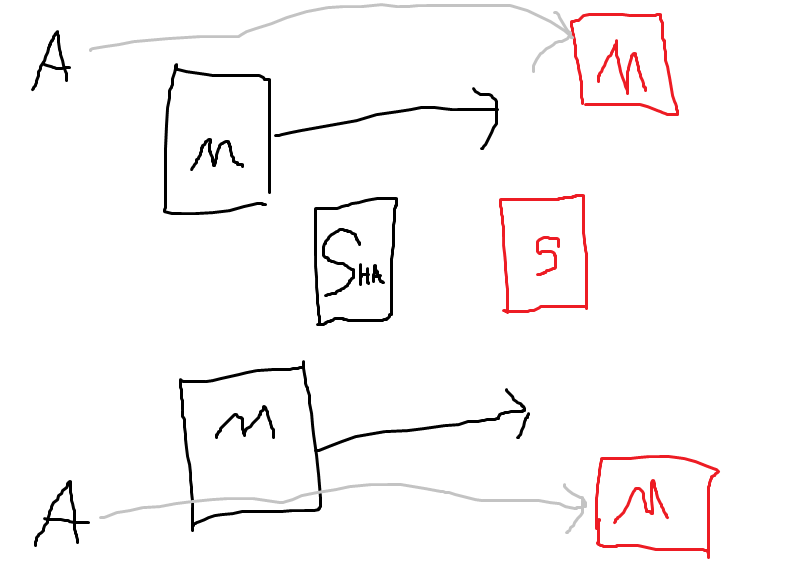 Mictlan's group of melee units is set forward and center for simplicity, but it works if they're spread out too, you just have to adjust your trap box size and position. Marignon's knights are all told to hold and attack and the pikemen is set to guard commander. Since the pikemen were the closest group the shamblers will acquire them as a target and try to chase them down while they run back to a commander, falling right into the center of Marignon's surround box. If the pikemen weren't here, the shamblers would go for one of the two knight groups on the sides, as it stands they run straight forward. The shamblers get just far enough that they don't get to engage the knights in melee before the trap is sprung. The knights surround and decimate the shamblers. Trampler units almost all have the same problems. Arrow vulnerability and low melee survivability. Their first trample attack will be the most effective so you want them to be able to get the most out of their AP, because melee troops will surround and kill them quickly once they're actually trampling. 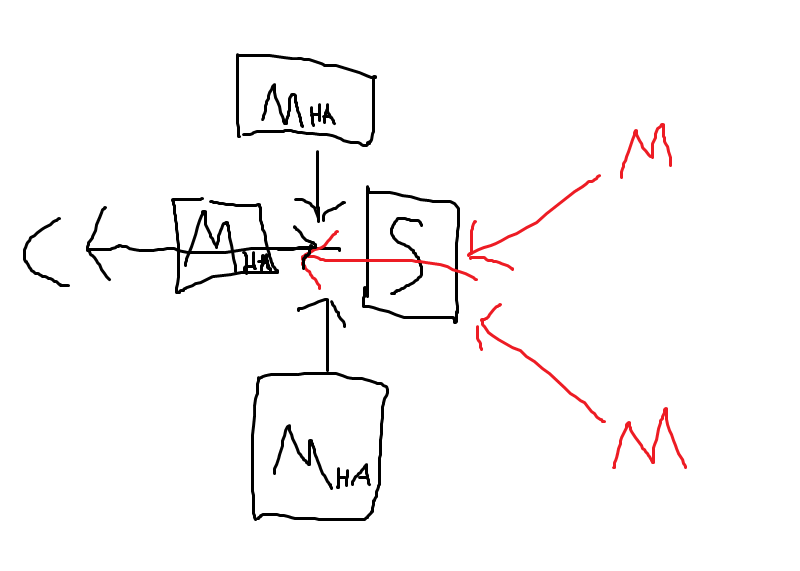 One of the problems though is that you need to be really good with unit placement to be able to accurately measure how much AP separates you and your enemy's placement. 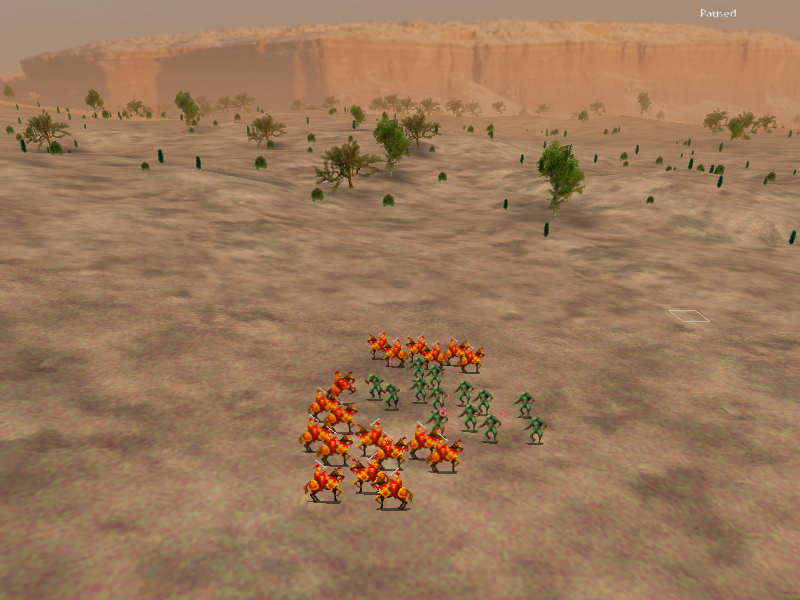 To simplify things, you can set up a decoy melee group to make first contact with an enemy. As long as you know the relative APs of your decoy group and your tramplers they should be able to get the most out of their first attack because they'll be directly behind your decoys. Fliers are one of the more finicky units. Especially because everyone tries attack rear orders on them and they /never/ work. 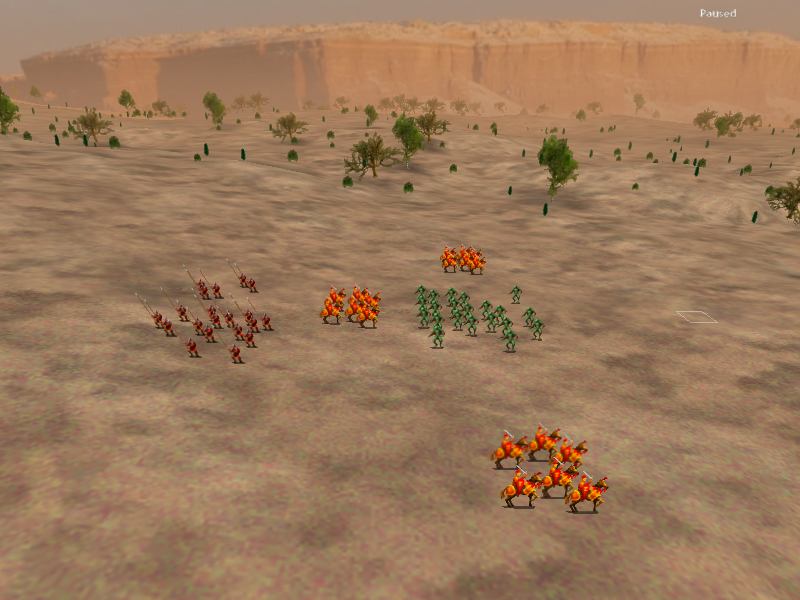 When passing over enemy troops your fliers have to make a morale check or land and attack that group. This makes it fairly hard for fliers to really effectively be used against rear groups of enemies. 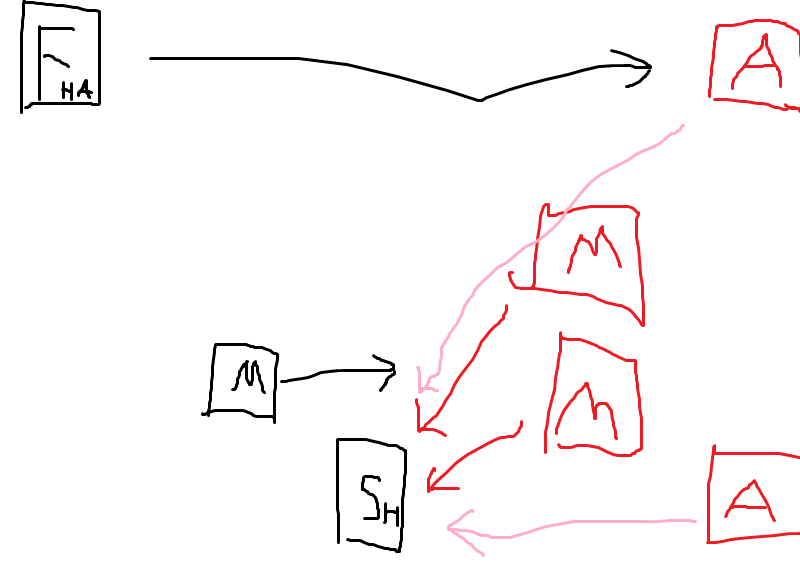 To compensate, you need a setup that draws any groups you don't want to engage off to the opposite side of the map as your fliers. 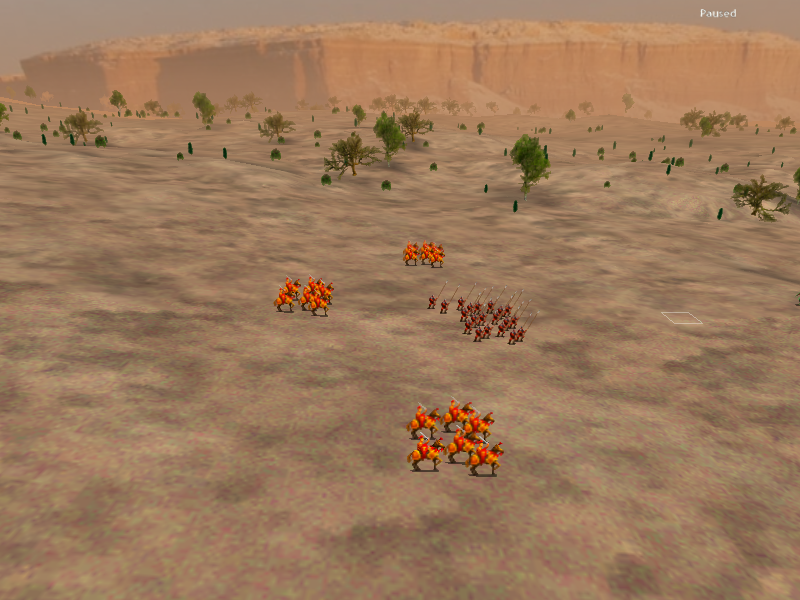 The shield and melee groups in this case will hold a line against the enemy melee troops, while hopefully your fliers with their hold and attack rear orders will have a better chance of actually landing on whatever it is you're after in the back row (probably archers or mages). 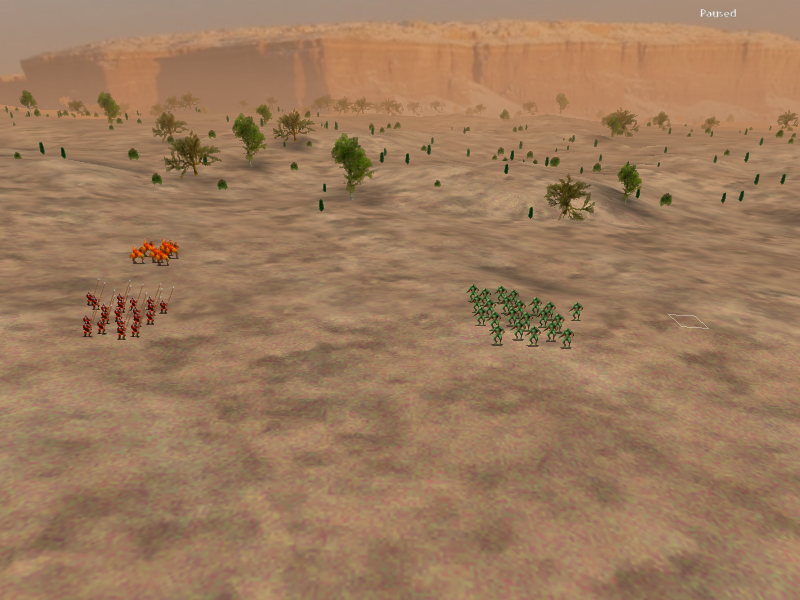 Mictlan's set up, the troops in the south are to draw all of Marignon's melee units away from anywhere near the northern edge. They're also terrible units that I just grabbed because they were available, but whatever. 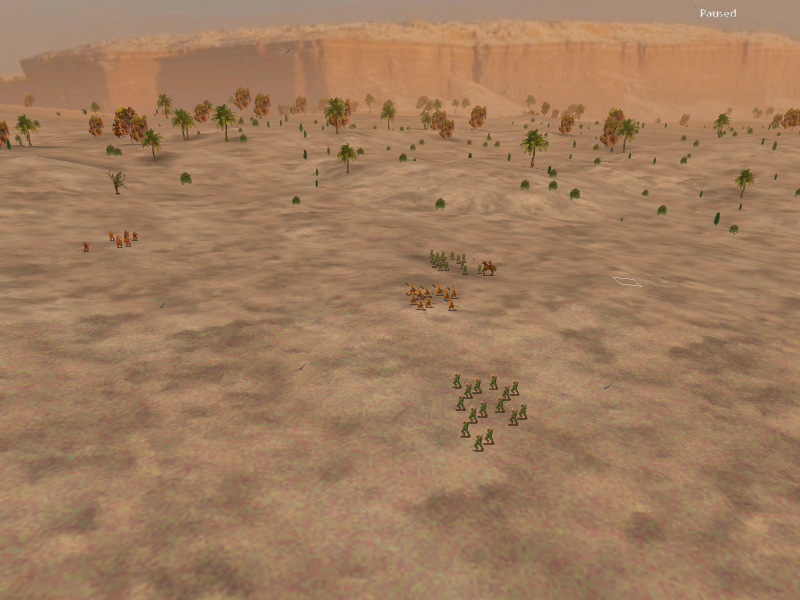 Mictlan's eagle warriors wait up in the north west corner with the hold and attack orders to fly into the back of Marignon's army after the melee is drawn away. 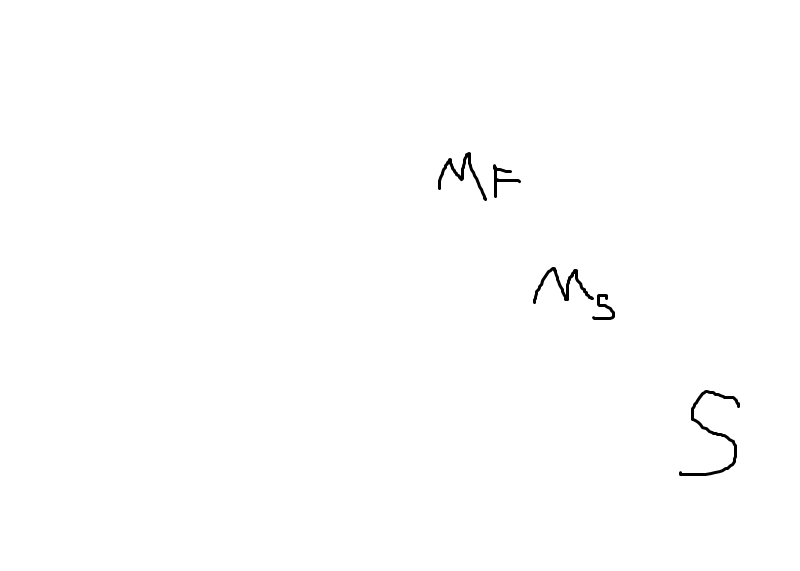 Marignon has something closely resembling the first formation I was talking about. Meanwhile, now that the melee units are out of the way, my eagle warriors can easily fly into the back landing right in the middle of Marignon's crossbows and destroying the entire squadron. Okay, attack rear orders are similar to fliers in effect. However, instead of needing to pass a morale check when they fly over a squad, if they ever come close to an enemy they will engage, and if they ever fail a morale squad while passing an enemy squadron they will engage. 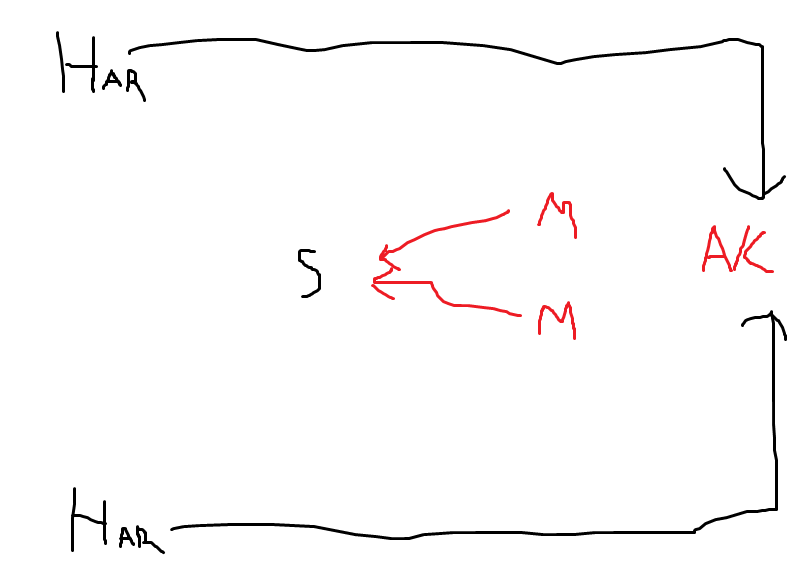 In general attack rear orders are not very reliable and however many times you try them they won't always work (maybe someone better than me has had better luck). The idea though is to minimize the number of potential obstacles in their way. A set up similar to the fliers one above works too. Marignon places its horses in the back with the attack rear orders, the small pikeman group up front is to draw in Mictlan's melee troops. Mictlan has two squads set up with some space between them giving decent coverage in the front. My knights don't enter the magic range box that causes them to immediately attack the shambler squads. But they fail to make it to the actual rear which was Mictlan's commanders. Still as a result they get a decent surrounding on Mictlan's shamblers. As I said though, attack rear orders are annoying to use, you'll often have results like this where units with attack rear duck out to fight a squad pretty much right away. Edit: I added some actual pictures so that my MS paint is a little more clear.